There is always something happening here at Jordanelle State Park! Whether it’s a fishing tournament, triathlon, sailing regatta, or our annual Fire on the Water, there’s never a dull moment. Check out some of the fun events below and be sure to take a look at our Events Calendar at the bottom to see what’s coming up next! Since 2007 Jordanelle State Park has partnered with Marine Products to bring the annual Fire on the Water; a fun festival with boat demos, hot dog eating contests, live music, fireworks and more! Vendors from all around the state come to show off their goods and sell some of the best tasting food around. There’s activities for the kids and even a boat parade of lights held on the water before the big fireworks show on the water finale!! Check out the video below from the 2014 Fire on the Water. 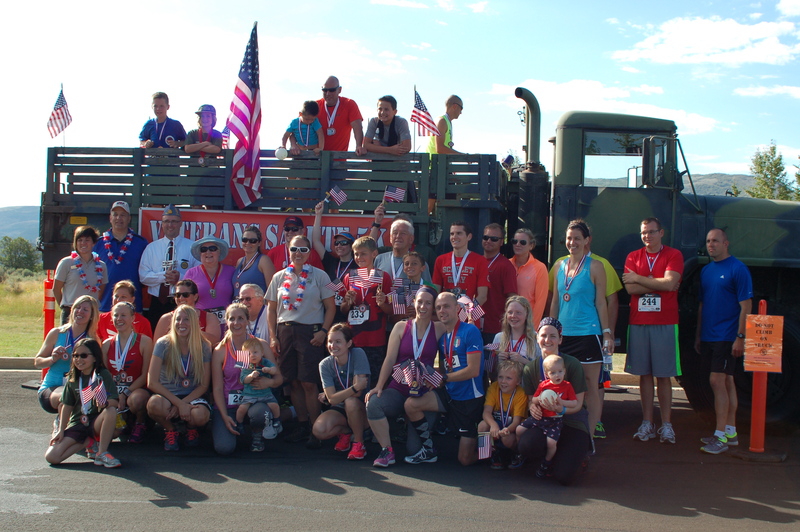 This year we held our second Veteran’s Salute 5k & Fun Run in an effort to show our patriotism and appreciation to all of the Veterans who do so much for our country everyday! After the 5k and Fun Run, we held a pancake breakfast and gave out awards to the winners. Best of all, ALL of the proceeds from the event were donated to the National Ability Center’s Veteran and Military programs! Thanks everyone who came out and made this such a special day for our Veterans!! Thinking about planning your own special event at Jordanelle State Park? Check out the Hailstone Event Center and see if it’s the right venue for you. We have 3 pavilions that can be reserved for your next Family Reunion. Give us a call for more information. Hailstone Office Spring Hours: 10am – 5pm, M-F, closed holidays, subject to change September through April. Rock Cliff Nature Center is closed for the season. Will re-open Memorial Day weekend.